A new outdoor clothing brand named after Edmund Hillary is set to debut at this year’s New Zealand Fashion Week in August. 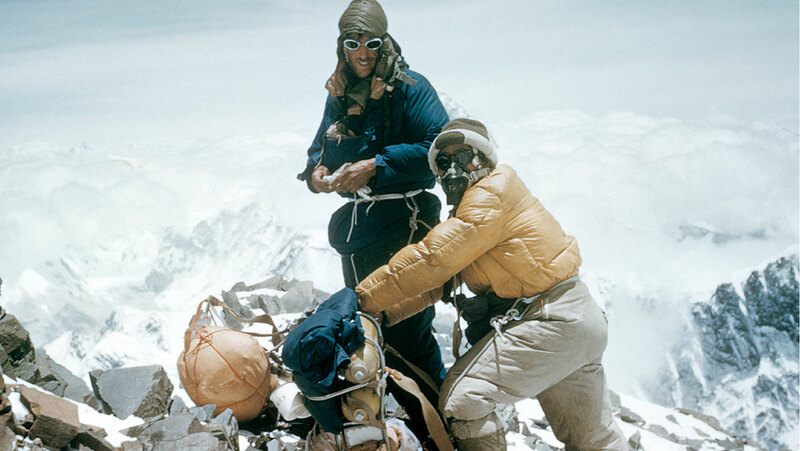 The Edmund Hillary Collection promises to include replicas of the gear worn by Sir Edmund Hillary and Tenzing Norgay when they became the first to conquer Mt Everest in 1953. Edmund Hillary Brands recently announced that Sir Ed’s grandsons, Alexander and George, will be making their runway debut during NZFW. We spoke with CEO Mike Hall-Taylor, who is behind the company with Sir Edmund’s son Peter Hillary, to find out more about this exciting and iconic new release. FTV: What was the driving force in creating the new Edmund Hillary Collection? Mike Hall-Taylor: The opportunity to continue his legacy into the future. We didn’t create it, he did. We’re simply custodians. He stood for a lot more than just being the first to climb the world’s highest mountain, he reminded us that ‘it’s not the mountain we conquer but ourselves’. He dedicated more than half his life to helping the Sherpa people of Nepal, something he considered to be a greater accomplishment than being the first to conquer Everest. Giving back is as much a part of the brand as making amazing clothes. You’ve drawn on the heritage of Sir Ed’s climb using imagery and researching fabrics used by Sir Ed and his climbing party. How easily did the designs translate to include modern form and functionality? We have two great designers who are experts at creating a heritage look with modern fabrics and design. Our partnership with the Royal Geographical Society gives us access to thousands of photos from that climb as inspiration. Some of the garments are being produced by the same company that supplied the 1953 expedition. How important is keeping that authenticity? Authenticity is key, but we also want to bring the brand into the present day. The launch range is very much based on heritage and original fabrics, but over time we will be introducing more performance fabrics while retaining the original style. The Edmund Hillary Collection is being touted as a “social enterprise outerwear label” with profits going back to the Himalayan charities that Sir Ed founded. How else does the collection represent his values? Ed was a humble and understated man who achieved what many thought was impossible. ‘People do not decide to become extraordinary, they decide to accomplish extraordinary things’. The Edmund Hillary Collection is, in the same way, understated in design, but does what it says it will do – it will keep you warm, and it will last. Wearing Edmund Hillary is something special, instilling the wearer with confidence and comfort. Alexander and George have just been announced as the faces of the campaign and set to walk the runway at NZFW. How did this come about? Alongside their dad Peter, George and Alexander have been involved with the development of the brand from the beginning. I’ve known them both for a decade. More recently they have become keen mountaineers, and are natural choices to front the brand. The family is closest to knowing what Ed would have wanted – and that’s very important to us. What else can we expect from the collection launch at NZFW? Wait and see. We want to make New Zealand proud, and this is a great way to remind the world what a great man Edmund Hillary was. How do you envisage the average man wearing the collection? On the slopes? On the farm? How would you describe the Hillary Brand man? The Sir Edmund Hillary Collection will appeal to anyone with a real sense of adventure. Someone who loves to get into the outdoors and look good while they’re there. It’s equally at home on the slopes (and there will be more of that to come) as at the pub. On the high street or at the lake. On that note, are there unisex garments? Or are there garments for women? Watch this space. Next year yes. How do you want people to feel when wearing the range? What would Sir Ed think of it? It’s not for me to say but his family thinks he’d love it. The Edmund Hillary collection will debut at New Zealand Fashion Week 2018. See you on the mountain!